Be still my beating heart! 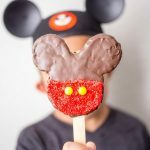 Le Crueset released a NEW Limited Edition collection with Disney today and it is beautiful! 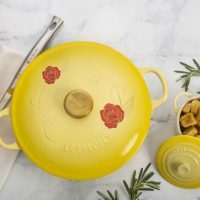 We’ve shared their collaborations here before including Le Creuset Beauty and the Beast Soup Pot and this one is equally as fabulous! YOU CAN PURCHASE HERE! Add a touch of whimsy to your cooking. 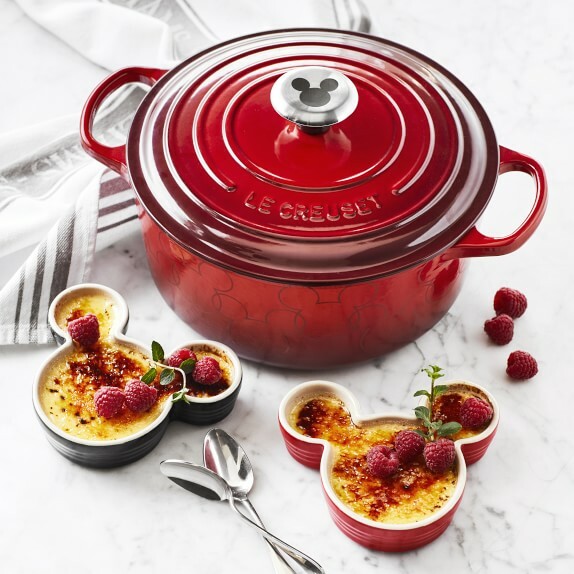 Designed for fans of all things Mickey Mouse™, Le Creuset’s versatile Dutch oven features sides and a knob decorated with the outline of the iconic cartoon character created by Walt Disney in 1928. 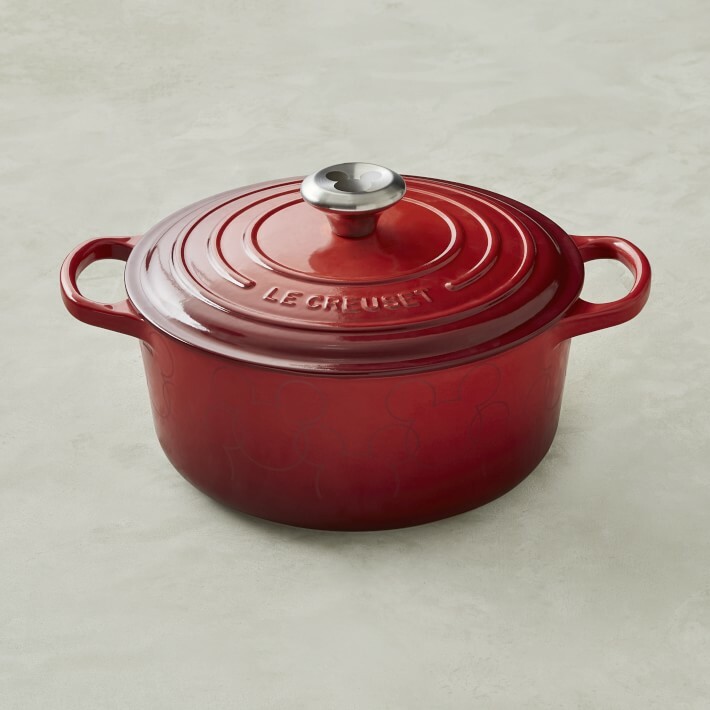 Made of even-heating cast iron with a vibrant red enamel finish, the Dutch oven is perfect for slow-simmered stews and braises, locking in moisture for tender, succulent results. PURCHASE HERE! Enameled cast-iron construction boasts superior heat retention and does not require seasoning – pot is ready to use. Mickey Mouse profile stamped on oven sides and stainless-steel knob on lid. Optimized for steady, even heat, Le Creuset’s enameled interior resists staining, dulling and wear and tear. Light sand color of interior makes it easy to monitor food while cooking, ensuring less sticking and burning. Dishwasher safe for fast, convenient cleanup. 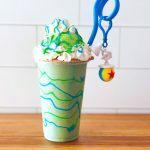 Add a touch of whimsy to food prep and baking. 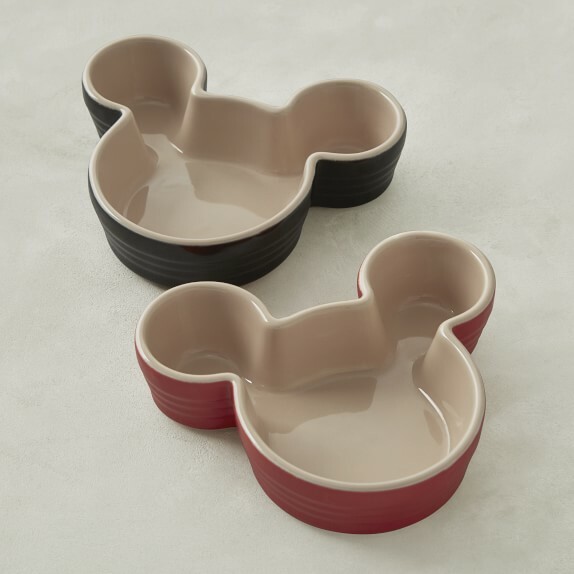 Designed for fans of all things Mickey Mouse™, these ramekins are shaped like the iconic cartoon character created by Walt Disney in 1928. The small, stackable ramekins in red and black prove handy in so many ways – for holding ingredients during food prep; baking individual desserts and soufflés; and serving sauces, dips and candies. They’re made of stoneware, an extremely durable and versatile choice for baking, serving and storing. PURCHASE HERE! High-fired stoneware is exceptionally strong and ensures even heating. Safe for oven, broiler, freezer and microwave. Durable porcelain enamel glaze finish is easy to clean and resists chips, scratches and stains. Will not absorb odors or flavors. Vibrant, colorful exterior for oven-to-table presentation. Set of two ramekins, one red and one black. « 2018: The Year for Disney Movies!